Welcome to this edition of the e-Book Cover Design Awards. This edition is for submissions during August, 2012. Damonza submitted Beasts of the Walking City designed by Damonza. JF: Once again the talented Damonza, a previous winner for nonfiction, shows how to combine all the elements of a cover into a cohesive and striking whole. We get intimations of the story, atmospherics, a good deal of menace and some customized typography that helps to bring the whole thing together. Alicia Morga submitted Create iPhone Apps That Rock: A Guide for Non-Technical Folks designed by Kyle T. Webster. JF: Man oh man, when it all comes together it really works. Here the talented illustrator and designer Kyle T. Webster hits it out of the park by really capturing the fun and excitement and hypnotic attachment we have with our smartphones. Powerful graphics and a constant focus on the task of the book cover clearly set this one apart. R J Heald submitted 27: Six Friends, One Year designed by Becky Chilcott. JF: A memorable cover from a very talented designer. Justin Elliott submitted A Dark Future designed by Kura Carpenter. JF: Has possibilites, but the cover is destabilized by the awkward placement of the type, particularly the title. C. David Murphy submitted A Diary’s House: Where True Love Endures designed by Claudia McKinney. JF: I love this atmospheric cover with its careful typography. It seems just right for its genre. JF: Nice job, Matthew, but the cover might have been even stronger without the interior shadow effect on the title. JF: I think you were right the first time. JF: Yes, the challenge is clearly beyond the layout and typography. The typeface of the long subtitle isn’t helping, nor is the lack of contrast with the background. Even the title is getting a bit lost. JF: A gorgeous print cover from the uber-talented Ian Shimkoviak which, unfortunately, is not surviving too well what looks like a straight reduction to ebook size. JF: A good example of why you have to be careful with colors on your cover. The visual confusion created works against you. Angelo Tsanatelis submitted Directive 3.1 (Final Colony 1) designed by Blackveil. T. Neal Tarver submitted Dark Eyes, Deep Eyes designed by WestBow Press. JF: Simple yet effective, with solid typography. JF: Fun and effective. But there are 6 hands on this cover, a bit of confusion that seems extraneous. JF: It’s challenging to get these composite images to work well, as they do here. JF: Solid SciFi cover, really nice. C L Raven submitted Disenchanted designed by Lizzie Rose. JF: Thanks Warren. I like the whimsical illustration, but the type is very weak and consequently not doing it’s job. It either needs to be larger, lighter, or bolder, or all three. Damonza submitted Dream Chaser designed by Damonza. Anne Mendel submitted Etiquette for an Apocalypse designed by Wil Amato. JF: Elegant, with a nice touch of surrealism, but I worry about the type which has gotten even finer when reduced from the paperback original. JF: Very creative, would like to see a little more pop in the colors, even if it’s simply lightening the white bits, because the palette doesn’t have enough contrast. Kit Foster submitted Fall of the Citizens designed by Kit Foster. JF: Kit Foster is right in his element here, powerful, evocative and an effective cover. JF: Great result, thanks for the detail. Roxanne Crouse submitted Fortune designed by Roxanne Crouse. JF: Oh, there it is: this month’s entry in the “don’t put dark red type on a black background” category. JF: Do you see how it needs a border? I like the simplicity of this cover, though. Brian Platt submitted George Barrington Hunter designed by Brian Platt. Damonza submitted Head of an Apostle designed by Damonza. JF: It’s amazing how some designers can create atmosphere like this and make it look easy. Another winner. JF: Great first try. Check out Death’s Door above for an example of how images can be combined in an artful way to end up with one image. Also, this cover has a somewhat “vanilla” look and I suspect that’s in part due to the type. Maybe look through these posts for the best covers and see how they treat the titles. SL Dwyer submitted If Truth Be Known designed by Jim Dwyer. Mike Iverson submitted In a Flash designed by Mike Iverson. JF: This appears to be one of three versions of this cover. But let me tell you something. If you could see me right now, I’m standing up and applauding Mike Iverson, because he actually thought about different covers for his different editions. So in addition to a strong and evocative cover that really exploits its limited palette, it’s also ideally suited to the ebook world, and isn’t just an automatic “let’s shrink this down” version of the paperback cover. JF: Nice job, Laurel, and see my comments above. Patrick Menegaz submitted Japanese Dream designed by Marcos Monteiro. JF: Well done, although I have to admit the designer in me wants to nudge that mountain over so it’s centered on the round stone in the center. JF: You have chosen well. Beautiful and distinctive. JF: Interesting use of Copperplate, a typeface originally designed for social stationary. Renata F. Barcelos submitted Mean: a psychological thriller novelette designed by Ágata Maria C. Barcelos. Isabella Amaris submitted Mesmer, Book 2: Favoured (A Three Towers Fantasy) designed by Isabella Amaris. 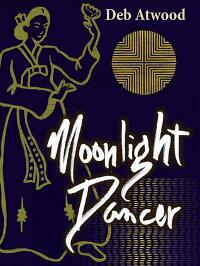 Matt Hinrichs submitted Moonlight Dancer designed by Matt Hinrichs. JF: Very artful blending of illustration and lettering, this cover stands out. Barnabas Smith submitted Movement & Repose designed by Barnabas Smith. Polly Iyer submitted Murder Deja Vu designed by Polly Iyer. JF: There’s a bit too much recurrence, and with all these competing drop shadows the effect has abandoned all visual logic. JF: Nice concept and a strong photo but the light band at the bottom is killing the effect and the title type needs to be much stronger. Brent Green submitted Noble Chaos designed by Terra Brown. JF: Clever concept, but the whole effect is very muted, and I don’t that’s what you were going for. Branli Caidryn submitted Phoenix Splinter designed by Jeroen Ten Berge. JF: The collaboration sounds awesome and good fun, but I don’t think this cover will compare well to the best in this genre, and that’s principally because of the typography. Have a good look at some of the other covers in these posts and see what they are doing differently. Ana submitted Pulchritude designed by Clarissa Filice. James submitted Railroad Man designed by Jimmy DelToro. JF: Underwhelming. Isn’t there anything about this book you wanted to communicate on the cover? If so, we don’t see it. JF: There’s a lot to like about this cover with it’s careful typography and interesting artwork, but it seems to all be thrown way off base by the huge red “branding” seal that only distracts from the excitement and mystery the cover was creating. Notice how the main graphic elements—the tree trunk and the man’s focus—are both aimed right at the red seal. Stephanie Sun submitted Rootless designed by Stephanie Sun. JF: Stephanie, if you darken the background color this will work much better. Adan Lerma submitted Rosetta designed by Felipe Adan Lerma. JF: Thank you, Kathryn, for sending along a square cover. It works, but I’d bet it would work better if the title was 150% larger. Ben Zackheim submitted Shirley Link & The Safe Case designed by Robin Hoffman. JF: Cute, very nice. Needs a border. JF: I really like the out-of-the-rectangular-box background you used here, it does make the cover stand out from the crowd, and that’s half the job done. I’m sure more designers will be going in similar directions as ebook cover design matures. Damonza submitted Soach designed by Damonza. JF: One of the great lessons to learn from Damonza’s covers is how texture can play a huge role in the overall effect of your cover. This one stopped me to figure out what was happening in the illustration, and drew me in. Damonza submitted Song of the Fairy Queen designed by Damonza. JF: You’re off to a great start, Brynna, this hits just the right note. Damonza submitted Sweetness designed by Damonza. JF: I wouldn’t ordinarily associate a bold slab-serif typeface like this one with the idea of “sweetness” but overall it works. The strong symmetry of this cover gives it a stillness, and the designer has used the intersection of receding lines of the boardwalk and the horizon to focus our attention right where he wants it. JF: Absolutely lovely, totally charming, and very effective for your genre. One of the nicest covers of its kind I’ve seen in a while. JF: Keeping it simple really helps, as you can see here. Jack Night submitted The Dead of Winter designed by Jack Night. JF: You’ve hit all the notes, but you need to differentiate the title and the author more so they are distinct. Cathy Helms submitted The Eagle Has Fallen designed by Cathy Helms – Avalon Graphics. JF: Beautiful, love the colors in this cover. Tiffany Dow submitted The Feast designed by Rich Pargeter. JF: It looks good, but is it really telling me anything about the book? C.M.Gray submitted The Flight of the Griffin designed by C.M.Gray. E. C. Brierfield submitted The Magnolias of Sutherland Creek designed by eduardo Cervino. JF: And the type is right in character too, but I wish the cover had more contrast, something that really stands out. JF: Great job, it really came together well. Andy Fielding submitted the silver phoenix and other tales by nigel anderton designed by Andy Fielding. JF: A lovely concept somewhat undone by the title disappearing into the background design. Perhaps just changing the color of the title might help. Gwen Perkins submitted The Universal Mirror designed by artist Enggar Adirasa, layout Frank Hall. Katie Jennings submitted When Empires Fall designed by Katie Jennings. JF: Great job with the illustration, Katie, but your title typography needs help. Matilda Wren submitted When Ravens Fall designed by Matilda Wren. JF: Wow, this one really eludes me. What’s all the electricity about? And in the center, that’s either a butterfly or the chambers of the heart, right? I’m afraid I just don’t get it. Vanessa Maynard submitted 52 Things you Should Know about Geophysics designed by Vanessa No Heart. JF: Very clean and appropriate design, but the title is disappearing at this size. Rebekah Michel submitted A Redhead’s Journey through Madness A Memoir designed by Rebekah Michel. JF: Branding is a strong part of book series like this, and this cover carries the branding well, but it needs a stronger title treatment to really shine. JF: Delightful. What I love about this cover is the way it suggests the subject matter, the locale and the author’s tone without getting fussy. JF: A really strong and focused cover that would be much better if you just got rid of the gratuitous text “effects” on the title, which are only a distraction from a great design. JF: It works well, relying on the skillful and recognizable drawings from this popular series. It’s not immediately apparent whether “Dragon Ball Z” is part of the title or not. Andrea Lewis submitted Dramaville is not a place; it’s a state of mind designed by Robin Ludwig Design Inc..
JF: Very cool, very distinctive. Jeff Cook submitted Everything New: One Philosopher’s Search for a God Worth Believing In designed by Mary Emily Brink. Kathleen Gamble submitted Expat Alien designed by Roberto Marelli. JF: The perspective makes the title stand out, but also makes the rest of the type a bit hard to read. But a good cover nonetheless. JF: A nice cover well matched to its content. Love the illustration. Vanessa Maynard submitted Looking Up designed by Vanessa No Heart. JF: An interesting attempt to combine elements that in the ends leaves the cover without one dominant focus. Heather Marie Wessel submitted My Journal: A True, Simple, Real-Life Backpacking Adventure, Europe: 2 Months, 15 Countries, October – December 1997 designed by Heather Marie Wessel. JF: Interesting to compare this cover with Backpacked, above. I like the simplicity and directness of the cover even though the small photos are getting a bit lost. Lisa Giles submitted My Kin designed by Lisa and Reggie Giles. Jeni Starr submitted Plus Size Confidence designed by Rich Pargeter @ QuickSiteStudio.com. JF: And a very professional, confident cover with an adept use of color. JF: It succeeds in some ways but the fatal flaw here is allowing the design to overwhelm the book by cutting it in half. The title, which could have saved it, has also fallen victim to the split. Stephen Lean submitted Proper Spanish Tapas designed by Stephen Lean. JF: I just love the colors and outstanding readability of this ebook cover. There’s no question what you’re going to get. Donna M. George submitted Starfish: A Memoir designed by Abbott Press & Donna George. JF: What a great photo, and nicely handled on this cover. DJ Hazard submitted The Grumpy But Lovable New Yorker Guide To Enjoying Life Even Though You Are Broke… And Grumpy designed by DJ Hazard. JF: Easily wins the “title of the month” award. Damonza submitted When the Sky is Falling designed by Damonza. JF: Once again Damonza shows atmosphere, texture, sensitive typography and a command of the sight path. Lovely. Keenan Wilde submitted Wild Times Ahead! designed by Tsukasa. I had to check on Amazon to see if “A Song for Nemesis” was a real book. I thought maybe someone had concocted this monstrosity purely for the purpose of submitting it here as a joke. Apparently not. Sadly, it’s a real book cover. We actually check to make sure these books have been published and are available for sale, a submission requirement. You can be sure they are for real, and in this case you can see one of the reasons I started this competition in the first place. Thanks for including and commenting on my DBZ book cover, Joel. Regarding the “Dragon Ball Z” on the top, I agree that it’s slightly odd. Technically it is part of the book’s title and my concern was that people wouldn’t recognize the series if I relied completely on the two faces of Goku and Vegeta. So there it is. That said, aesthetically I would prefer it to not be there, as then I can get a 2 x 2 x 2 type of vibe going on. I’m creating the physical book cover now for CreateSpace. Do you think I should remove it, or would it confuse people if it weren’t there? Also, are you ‘allowed’ to have a cover that doesn’t state the whole title of the book, or is that a book designer faux pas? This was a great legup. Thanks. I’m so glad you liked my artist Matt Hinrich’s cover. I also love his blending of lettering and images, and I think the cover does a good job of echoing the novel’s setting. 1. Re: “You Can’t Shatter Me”, I think this is a very effective cover, that reaches directly to young people. This girl is in a jam! Two guys are fighting! The sparks are flying; you can see them right there on the cover! How did this sensitive girl, with a good heart (or possibly a nice butterfly, whatever), get into this jam, and what will she do? Not a sophisticated cover, but still effective. 2. Re: “A Spiritual Evolution: Coming to Recognize god in All That Lives”, Joel, you missed a chance for a second comment about dark red letters on black. In spite of the title, we can’t recognize “god” on the cover. 3. Re: “Pulchritude”, Well, I like this cover. A woman walking on the path to a tarted-up castle. I’m a little worried, but I hope it turns out okay. I like the way that the title uses the pure green of the foliage and that the author’s name picks up the tart/autumn orange. 4. The covers that have no comment by you always make me stop. Joel figures that anyone who has read his blog can figure this one out without a comment. Hmmmm. Thanks for your comment. I don’t point out every single flaw or every instance of something because I think readers here are pretty smart and catch on quickly. The plain fact is that I simply don’t have the time or the inclination to comment on every cover. I tend to comment on the ones at the edges, either quite good or in serious need of help, but mostly they are the ones that I respond to, nothing more than that. Glad you enjoyed the show. Every time I visit the site today, the teal eyes of that snow-leopard just grip me. That has to be one of the most engaging covers I have seen. Yet, since they are only 1/2 way tinted, they are not the full focal point, the title is. Really amazing work. Tracy you might be interested to know that I actually made up two versions of this post, each using one of the winners because they are both excellent. In the end, those eyes won out. Joel, I know this has to be a lot of work for you, and thanks for taking the time to do it. I learn something new and wonderful every time. Thank you for including my cover for Taking Heart and for your lovely comments. I truly enjoy this competition, month after month. A great collection of covers–as always. I loved the winning cover. It made me look for the book. When I entered, I thought “It’s Just Lola” might win. Once I saw the winner, I bowed in his direction and withdrew. Lola was a nice effort but the end result is somewhat lacking. Rather than that big stark black background, you might think about using a texture instead, like a gorgeous textured satin or something similar in a dark color. Then, with some better title typography, it would really have a chance. Thanks for entering! DJ I thought your cover was clever and interesting. Not sure if non-New Yorkers will “get it” but thinking outside the box like this makes your covers memorable. A great list, yet again. I love the winner. Very well done. These keep getting better and better every month! I agree, Tracy, the level seems to be coming up. What I’d love to see more of are experiments in doing these covers a bit differently. 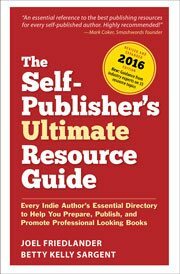 Even just the re-thought outline of the book in Snake Oil, or the square shape some designers are using for ebooks can make a title stand out from the pack. With e-books consisting of only the front cover, it really does free an artist on what can be done. Amazon, among other places, gives you a rectangular canvas, but that doesn’t mean you are limited to using all of it. Square, Round, Polygon… It almost gives you the ability to build a hybrid cover/logo. There is even room for animation, which is a completely different ball of wax. That Snake Oil Book is a prime example of thinking outside the box. If there was an award for “Best Experimental E-Cover” that would be a contender for sure. Nice! One thought: Your comment on Japanese Dream was: “JF: Well done, although I have to admit the designer in me wants to nudge that mountain over so it’s centered on the round stone in the center.” Actually, according to something I read re: tea ceremonies, symmetry is more a Western ideal than Japanese. Having the mountain off-center for a book with this title might have been more appropriate. Yes, I thought of that, and the asymmetry does produce some graphic tension. I believe it was that tension that made me want to tweak it. Fascinating comments, as always – I’ve been following this competition for a while now and it’s convinced me that when I’ve got my novel finished I’m not going to even attempt my own cover but am going straight to the professionals – so glad to see some of those professionals presenting their work here. I love seeing all the covers, very inspiring! So many talented designers. Thanks do much for putting these together again Joel – another hugely interesting month. Informative as ever! My heartiest congratulations to Damonza, who continues to consistently produce excellent work – and to Kyle T. Webster, too, who’s cover works really well indeed.